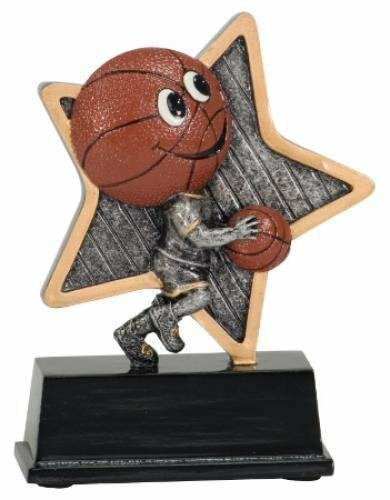 Basketball Shooting Star Resin. 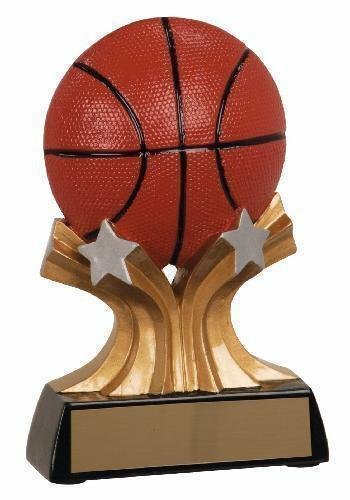 A fun and lively resin trophy with a basketball resting on shooting stars. 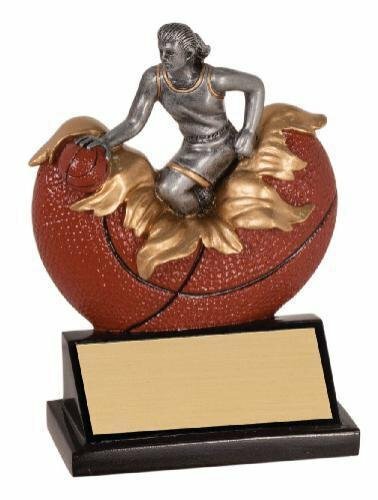 Female Basketball Explosion Resin won't actually explode, but will definitely catch your eye with the unique explosion effect. 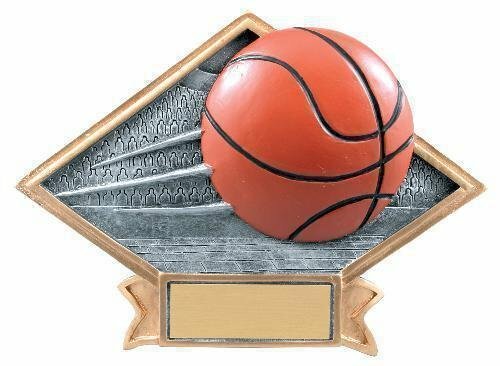 The Little Pals Basketball Trophy has a brushed gold laser engraved plate with black letters. 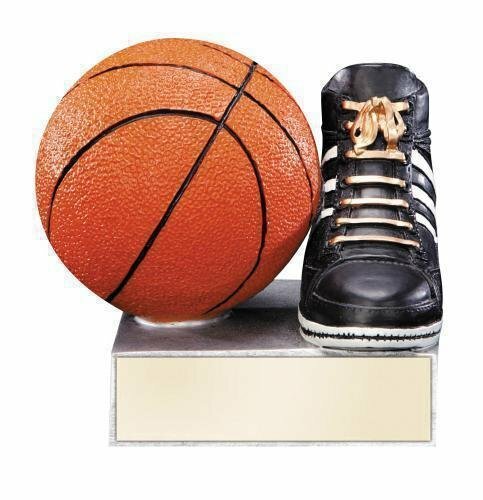 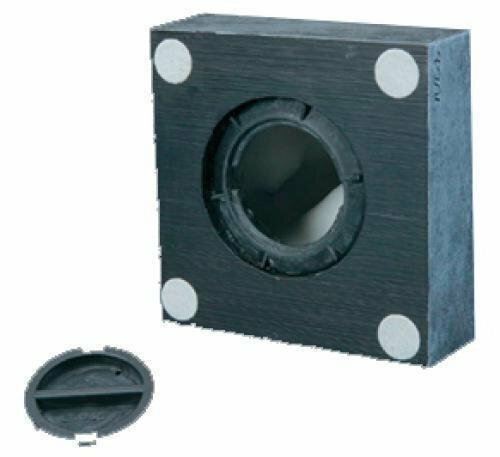 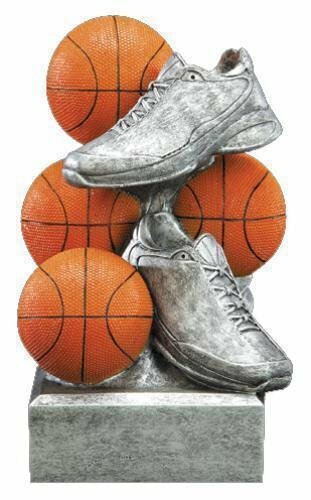 This little basketball award is an adorable inexpensive trophy. 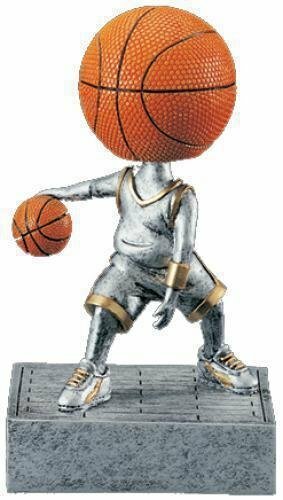 Male Basketball Explosion Resin won't actually explode, but will definitely catch your eye with the unique explosion effect. 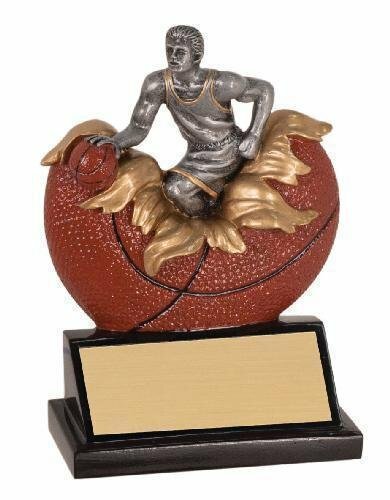 This Centurion Basketball Trophy is a popular choice. 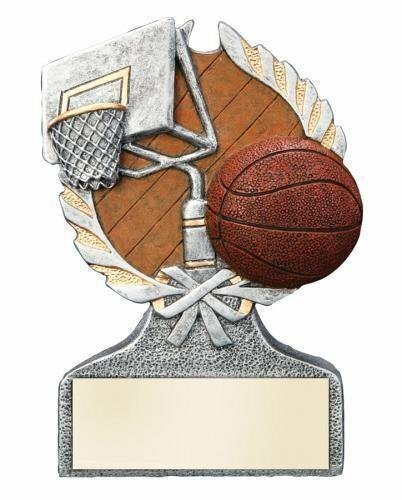 The Basketball Award comes with a brushed gold, lazer engraved plate.